With shows like Roseanne and The Greatest American Hero getting updates and revivals these days, commentors all across the internet have asked when their favorite old show will be coming back. 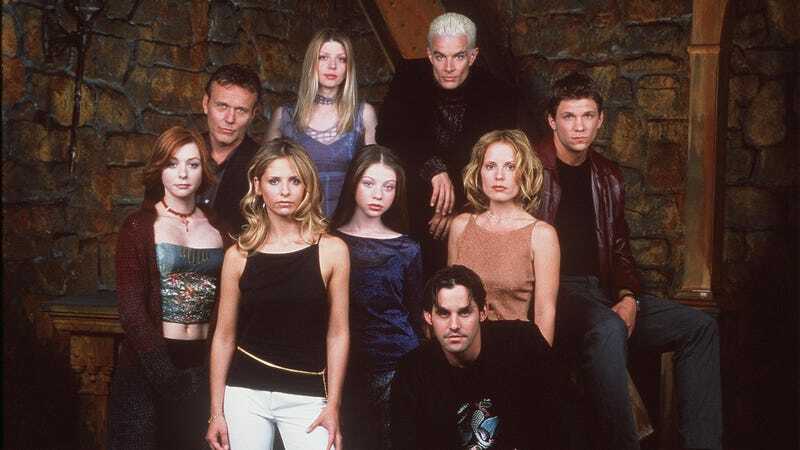 Fox is apparently looking to appease a good number of those people by acknowledging that, yes, it has talked about resurrecting Buffy The Vampire Slayer. That’s according to Variety, which says Fox TV group chair Gary Newman recently admitted that a new Buffy—whether it’s a reboot or a revival or whatever—is something the network talks about “frequently.” The only thing stopping Fox from immediately calling Sarah Michelle Gellar, though, is that it doesn’t want to do anything without series creator Joss Whedon. “When Joss decides it’s time, we’ll do it,” Newman says, adding, “Until Joss decides it’s time, it won’t happen.” Beyond that, Newman says this kind of revival is mostly dependent on creators coming back with an important story they feel like telling. Unfortunately for Buffy fans, Joss Whedon isn’t exactly super hot right now and he already had to drop out of one project about an iconic female character because he couldn’t come up with a story (even though it shouldn’t have been that hard). That means it might be a while before he decides to turn Buffy into a different kind of undead monster.